Many people become regulars at the gym to build muscle, lose weight and improve cardiovascular health. Regardless of fitness competencies, studies indicate making time fore regular exercise and fitness activities provide serious benefits for your mental health. If you’ve had a hard day in the office you can hit the gym for a quick workout or go for a long walk. Exercise greatly helps with stress relief. It is one of the most common and effective benefits of regular fitness activity. Exercise increases norepinephrine which is a chemical that helps your brain deal with stress. So not only does exercise get you into great shape it also reduces stress and anxiety. Slogging through the treadmill can be tough, but it is well worth the effort. 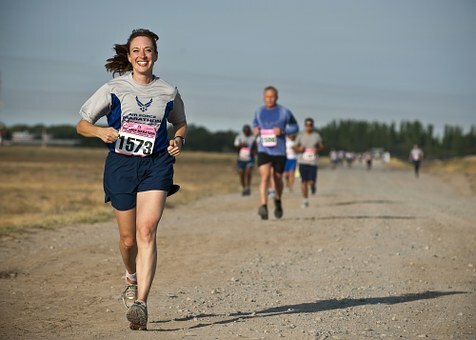 Endorphins are released during exercise which are really happy go lucky chemicals. It creates a feeling of happiness. If you are suffering from depression or are clinically depressed, exercise is treated as an effective antidepressant pill. You don’t have to get involved in high intensity workouts to achieve this level of calmness, just exercising a few times a week for 30 minutes will be sufficient. Exercise gives you a great body and that makes you feel good about yourself. It helps boost your self confidence. Physical fitness improves self esteem and gives you a positive self image. Attractiveness is immediately associated with self worth and this is what exercise helps you feel. Why not take your exercise outdoors, and enjoy the great and beautiful nature? You need to figure out an outdoor workout you will feel comfortable with, and a personal trainer can help you with that. It may be hiking, rock climbing or a run around the park. In addition, soaking up all that Vitamin D will relieve you of depressive symptoms. Exercise prevents cognitive decline. As you get older your brain becomes hazy. Older folks may end up with dementia or even Alzheimer’s disease. While exercise can’t cure you of these health conditions it can certainly slow down the process of cognitive decline. The best ages to workout are between 25 and 45 and it will prevent degeneration and boost chemicals to keep your brain’s memory and learning in tact. Exercise alleviates anxiety. A 20 minute jog will certainly help over a warm bubble bath for individuals who struggle with anxiety disorders to feel more calm and relaxed. Perform moderate to intense workouts, even aerobic, for instance, and you will find your sensitivity to anxiety reduce over time.